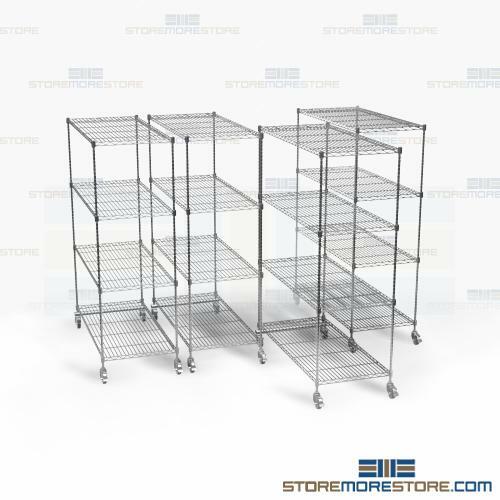 Bin wire shelving and racks are a great solution for storing small parts and inventory in medical, electronic, or industrial applications. 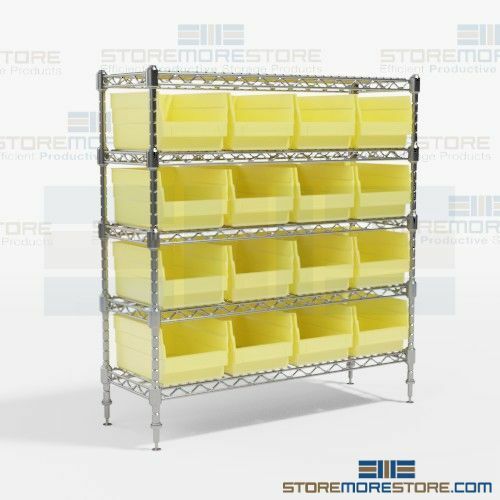 The plastic bins easily integrate with the wire shelving and are sized to waste no space so you can store items in a small footprint. 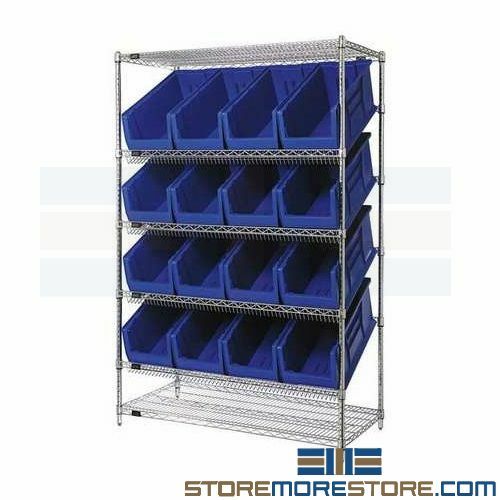 Additionally, the bins provide visible and easy to use storage for quick identification of parts. 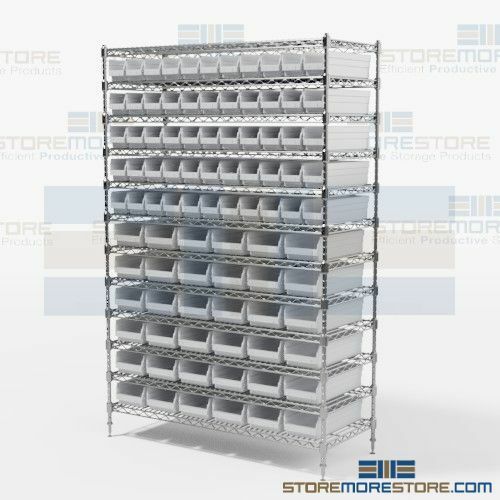 You can choose from a variety of wire shelving sizes and customize the plastic bins to your needs. 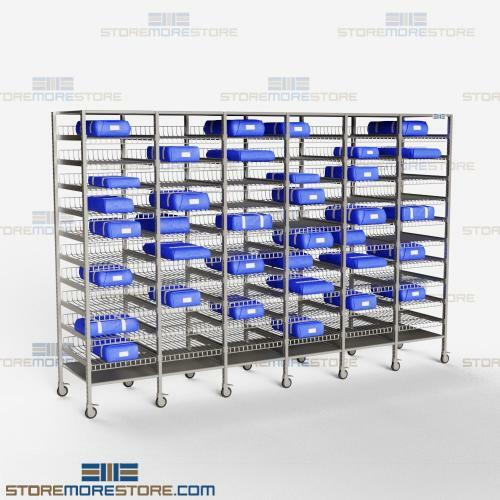 With its space-saving design, you can also have multiple types of bin sizes within the same unit. 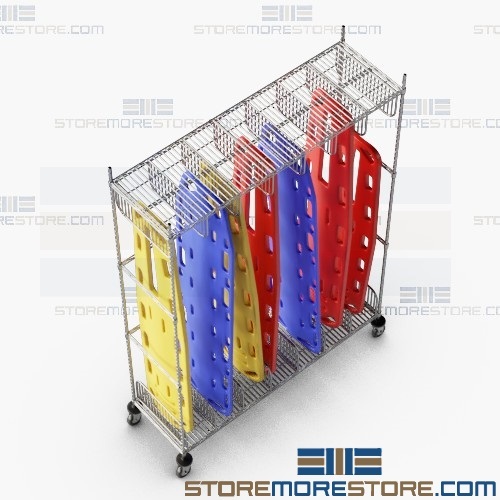 High quality plastic bins promote a clean storage environment. 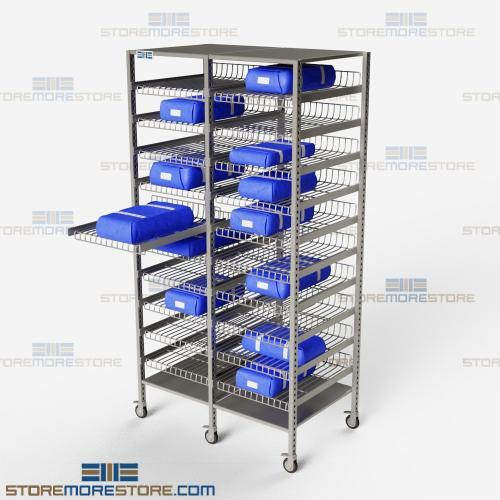 This makes them appropriate even for storing medical devices and sensitive electronic parts. 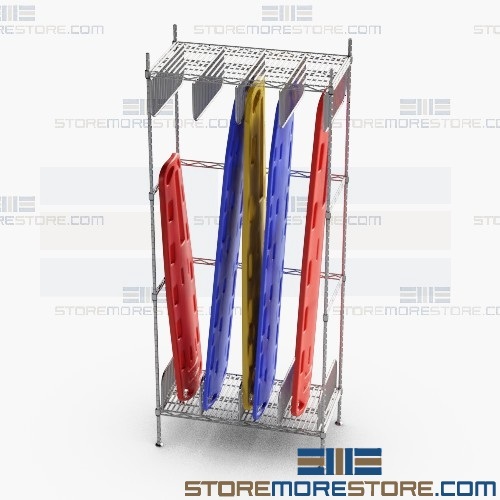 In addition, the wire construction of the shelves allows air to flow freely to prevent the accumulation of dust. 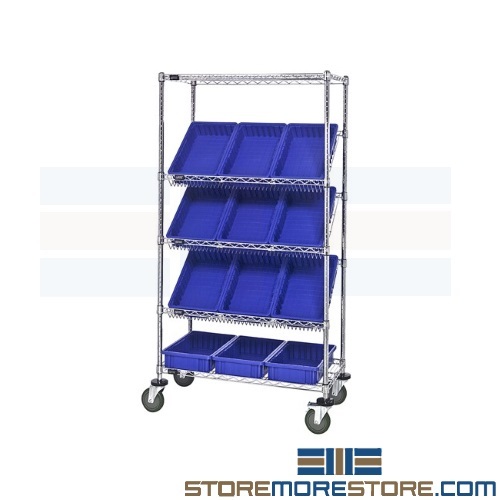 For mobile applications, the wire shelves are also available with casters for easy transportation. 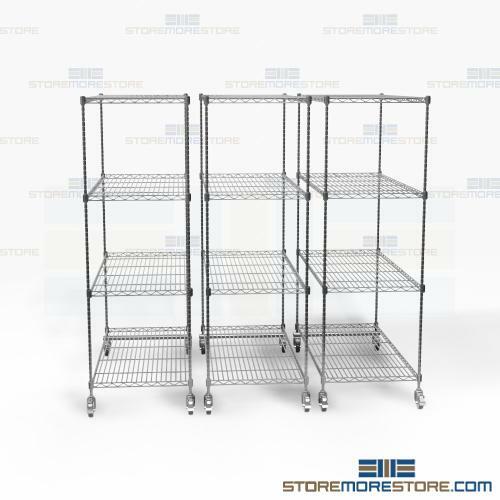 Shelves up to 48″ long: 800 lbs. 60″ and wider: 600 lbs. All bins ship in one color. Contact us for mixed colors. 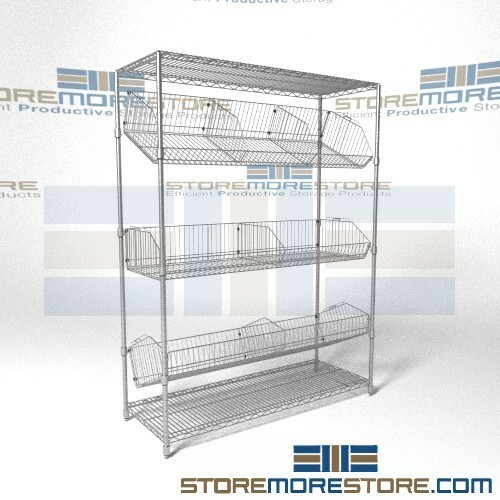 Bin wire shelving racks are available to buy online and ship in 5-10 shipping days (free dock-to-dock shipping). If you need any assistance or just want some help picking the right solution for you, please call us at 1-855-786-7667. 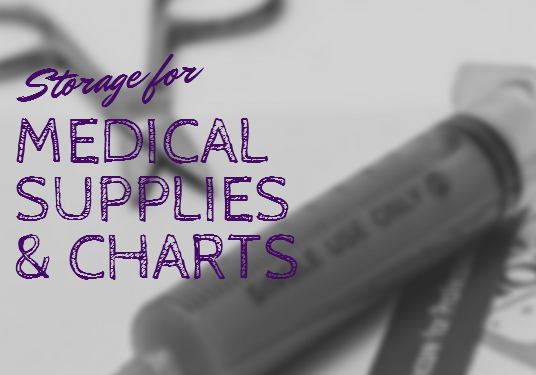 Medical facilities need to store supplies and charts. But it’s not as simple as buying some shelves and stacking everything. HIPAA regulations mean patient information needs to be kept safe and secure from unauthorized access. 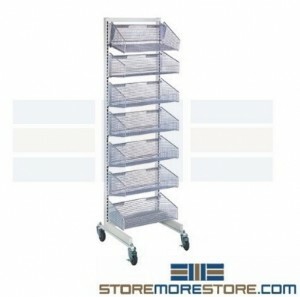 Certain medical supplies need to be stored in clean environments free of dust. Not to mention the fact that both supplies and charts need to be easily accessible, especially when there is a life or death situation. 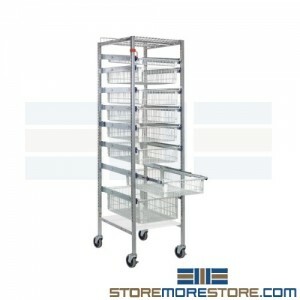 That’s why we offer a wide variety of storage solutions for medical supplies and charts. Our solutions are designed to keep information secure, supplies easily accessible – all while saving space and improving organization. 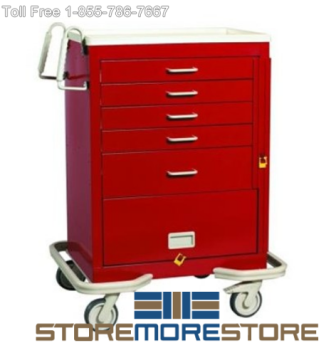 Check out five of our most popular medical storage solutions below. promotes better air circulation, which reduces moisture and heat. 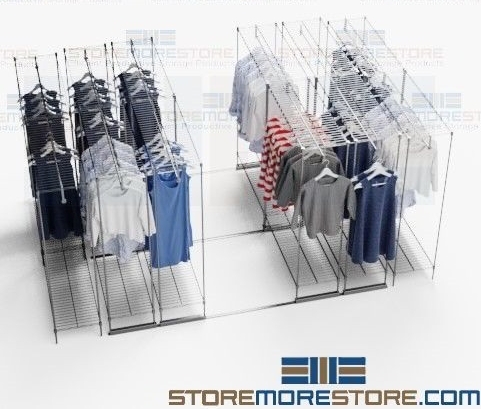 offers better visibility because light can pass through the shelves. 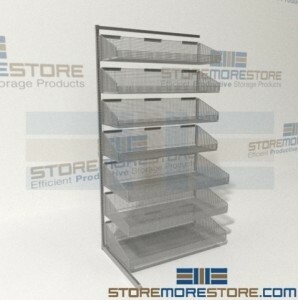 protects stored items from dust and contamination. increases fire protection because liquids can reach materials. To comply with the HIPAA law, healthcare organization must have safeguards – including physical barriers – to protect people’s health related information. Security shutters are the perfect barrier. During office hours, these lightweight doors roll up and out-of sight, yet when closed and locked, they provide a solid aluminum wall to safeguard medical records and other personal health information. Because our security shutters are available in numerous configurations, they can be affixed to existing shelves, record rooms, doorway openings or whatever area needs to be secured. Pharmacy narcotics cabinets offer secure medication storage so that your dangerous drugs are safe from all types of theft, including in-house personnel and outside criminals. With the optional cable and software, a designated manager is able to limit, designate, and track employees using the cabinet. 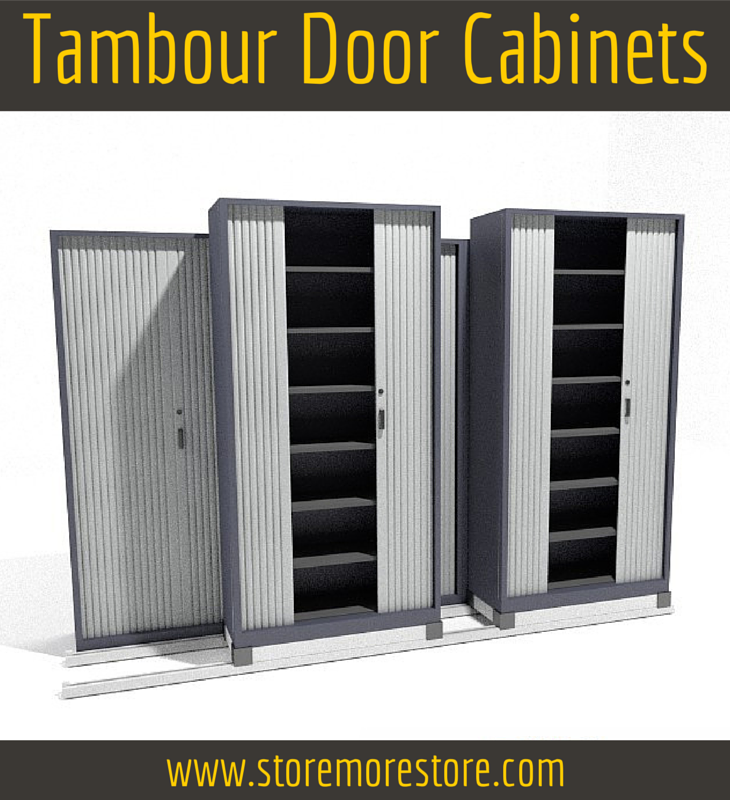 Tambour door cabinets are a great solution for storing and securing patient charts. 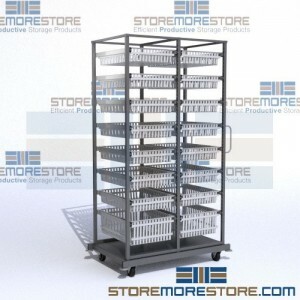 They’re ideal for both small and medium size storage needs. The way it works is that the tambour doors slide into the side walls of the cabinet to avoid intruding into the room’s space. 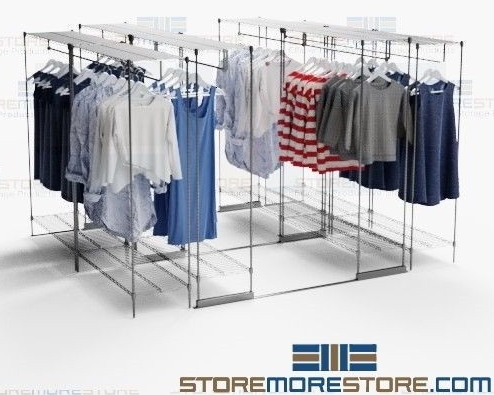 And the cabinets are available as individual cabinets or on space saving sliding track systems. 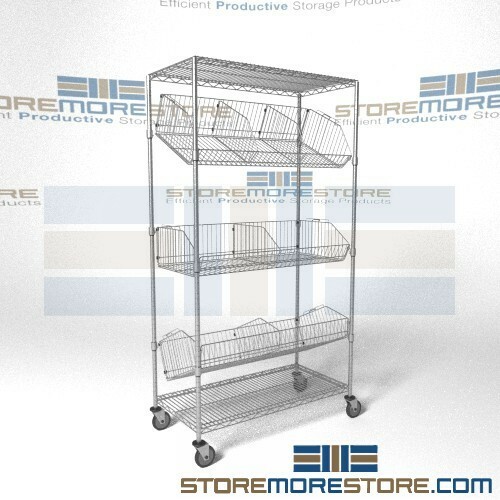 You can find all five of these medical supply and chart storage solutions and much more online from StoreMoreStore! And if you have any questions or need assistance, give us a call at 1-855-786-7667.